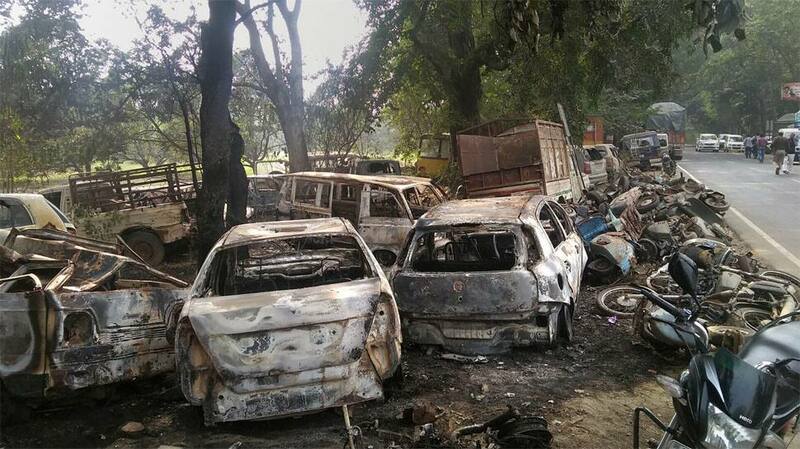 Violent protests erupted in Uttar Pradesh's Bulandshahr on Monday over alleged illegal slaughterhouses in the area. Chaos started after villagers found cow carcass in a jungle in Mahaw village. Angry villagers and members of various Hindu groups brought the animal remains in tractor-trolley to the Chingarwathi Police Chowki and demanded action against the culprits. They raised slogans against the police administration and blocked the Bulandshahr-Garh highway. A mob of some 400 people, including right-wing activists, later clashed with the police. 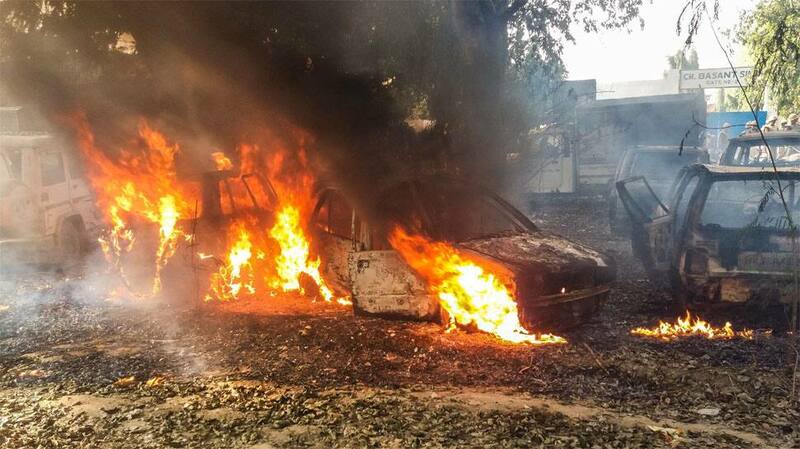 They set fire to dozens of vehicles, hurled stones and also fired at police who retaliated with gunfire. 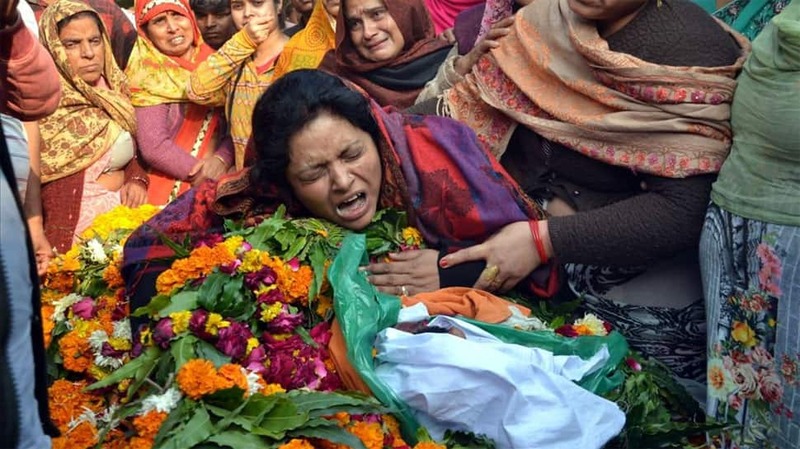 In the violence, Inspector Subodh Kumar Singh, the station house officer of Siana, and 20-year-old Sumit Kumar were killed. 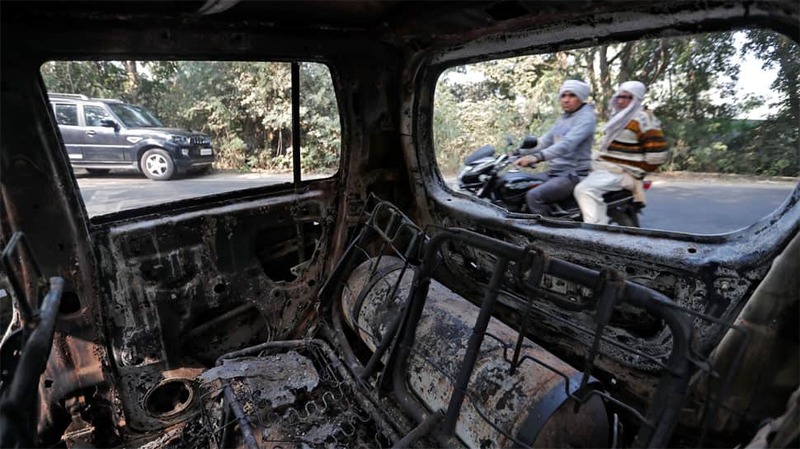 Police arrested on Tuesday four people and were hunting for main suspect – Bajrang Dal activist Yogesh Raj – in connection with the mob violence, as angry families demanded action amid criticism of the UP chief minister and suggestions of conspiracies. They said 27 people have been named in the FIR while cases have been lodged against 50-60 unidentified people. The National Human Rights Commission issued notices to the state government and the director general of police over the incident, officials informed. The two deaths resulted in a massive uproar with fingers being pointed at the state government. A police officer walks next to the spot where a police officer was killed by a mob during a protest on Monday, in Chingrawti village in Bulandshahr district. 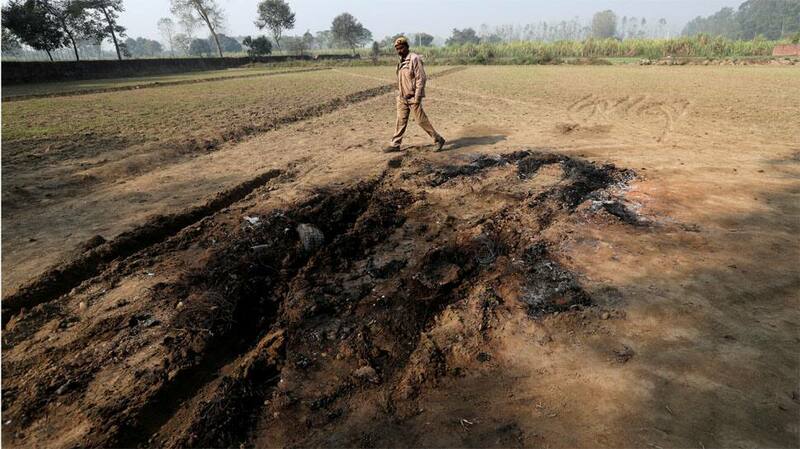 Charred vehicles which were set on fire by a mob in Bulandshahr. 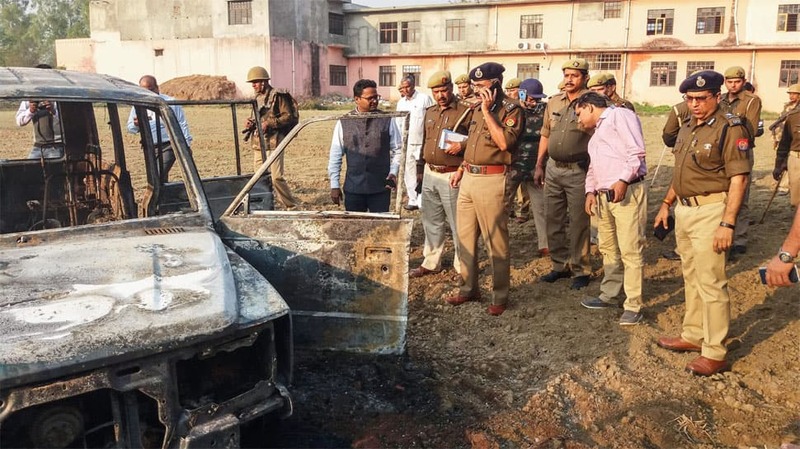 Policemen inspect after several vehicles were set on fire by a mob during a protest over the alleged illegal slaughter of cattle, in Bulandshahr, Monday, Dec. 03, 2018. According to Additional Director General of Meerut zone Prashant Kumar, protesters from Mahaw village and nearby area. Last rites of Police Inspector Subodh Kumar Singh, who was killed in a mob violence in Bulandshahr district of western Uttar Pradesh on Monday, underway in his ancestral village Jaithra in Etah district of Uttar Pradesh on Dec 4, 2018.